Chiranjeevi vows to adopt more villages after Perupalem. Home/NEWS/Chiranjeevi vows to adopt more villages after Perupalem. Chiranjeevi vows to adopt more villages after Perupalem. Here is a detailed list of development programs taken up by Chiranjeevi for the development of his adopted village perupalem and Mogalthur Mandal. 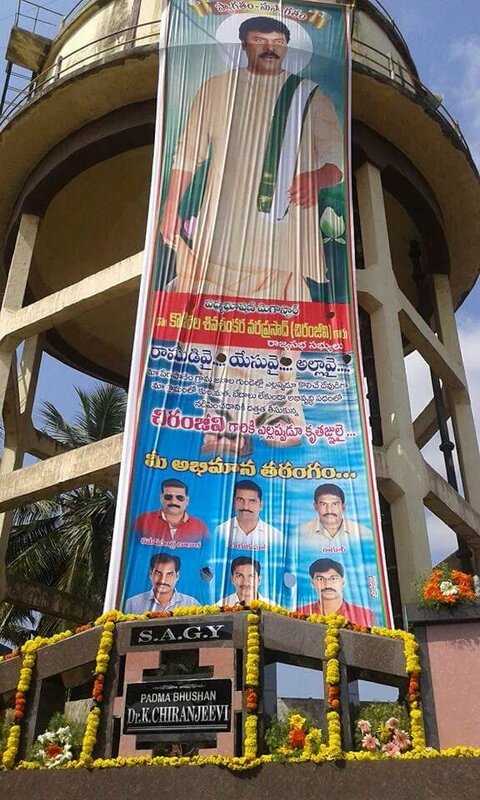 Megastar Chiranjeevi visited Perupalem (south) village in Mogalthuru mandal in West Godavari district on Monday. At a meeting there, he stated that he would develop Perupalem, a village on the sea coast, into a model village and make it a tourist hub. 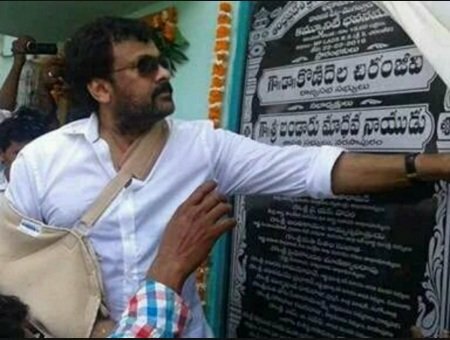 Chiranjeevi had been advised to take rest after his shoulder surgery, but the actor-turned-politician visited Perpupalem, where he laid the foundation stone for two-community halls on Monday. Later, he addressed the massive gathering of people, who were all delighted and thrilled to receive him. In his address, the Megastar promised to build junior colleges in the village. Chiranjeevi stated that development should be beyond party lines and he would work hard to develop the village in all aspects. He added that as a result of unavoidable circumstances, he could not visit the village earlier. He had promised to take personal interest in improving the lives of the people by focusing on education and sanitation. His goals are to make drinking water available and better sewage facilities, transportation and water channels for irrigating purposes. He is intended to solve the lighting problems and help the villagers with the installation of solar panels. It is reported that the tenders for developmental programmes have already been finalised and the contractors are expected to start the works in the village very soon. Chiranjeevi is known for his philanthropic works and his work for the betterment of the village is going to be another best example for it. He was quoted saying at the gathering that he was born there. “I have a lot of love and affection for this area. It has forced me to adopt Perupalem (south) village for development. It is just a beginning. I will develop this coastal area of Mogalturu mandal as a tourist hub and the development works will be taken up uninterruptedly,” he said. Check out the Pictures of Chiranjeevi at Perupalem. Chiranjeevi vows to adopt more villages after Perupalem. 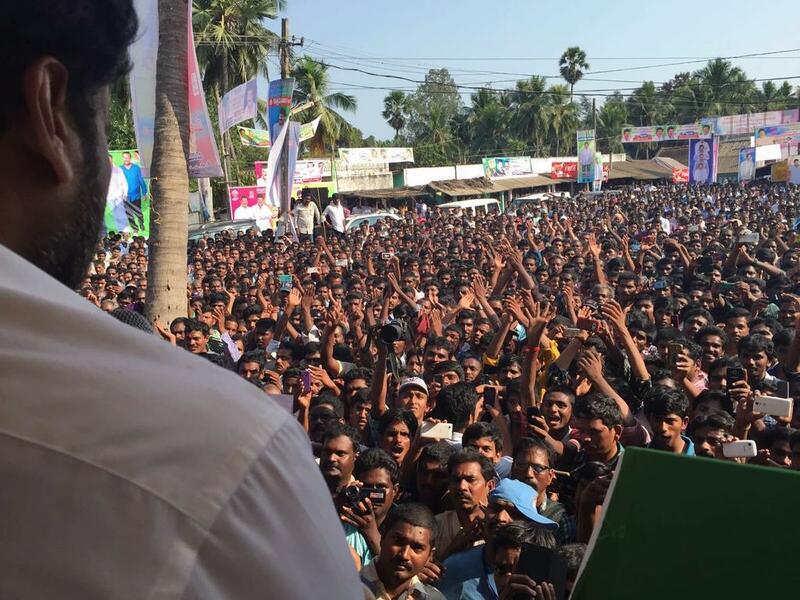 Chiranjeevi was received to a rousing reception at Perupalem. The fan base which was said to be on the wane is very much intact, shows the Megastar. Megastar Chiranjeevi is thronged by crowds of people. 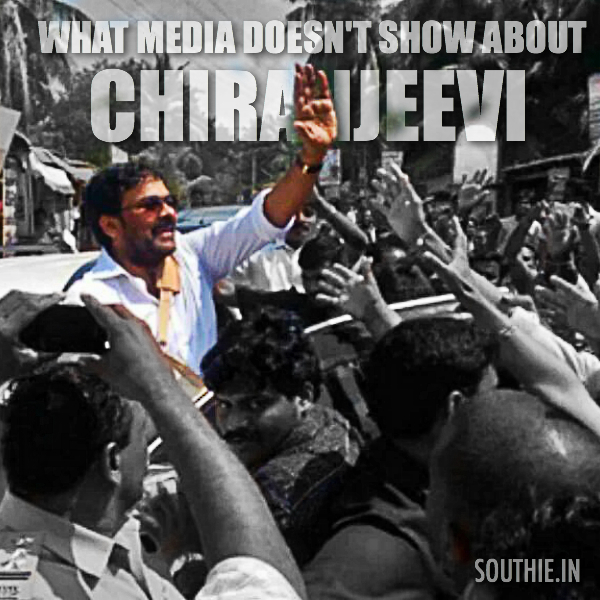 There is a lot of hope among the people that Chiranjeevi would actually do better for their village. Megastar Chiranjeevi walking out of the airport. Fans throng to meet him in the airport. Megafans remember the golden days. Chiranjeevi at a public meeting where he announces the plans he has for Mogalthur mandal. Megastar Chiranjeevi has vowed to adopt more villages and also make the costal region of Mogalthur a tourist destination.